Over the years, the articles in this blog have grown extensively. There’s a lot of valuable information in here, but it’s become hard to find because it’s mixed in with various tour announcements, special offers, conference recaps, and the like. 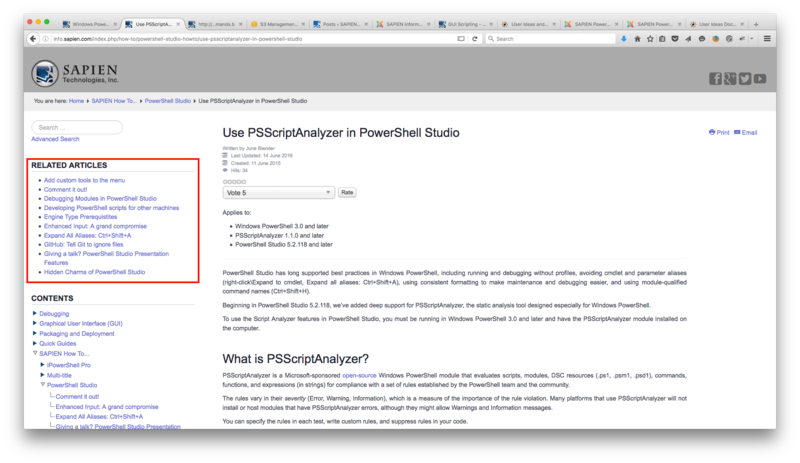 So, we have decided to pull the important articles and place them—along with information relevant to PowerShell and scripting—in a more organized and easily searchable venue. We are proud to introduce the SAPIEN Information Center. The most recent articles are always highlighted in a list on the left side of the window. You can find the categories in the Contents menu. 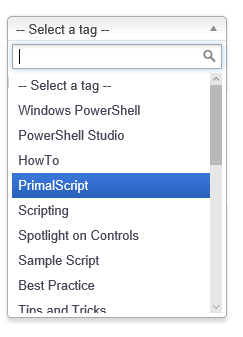 To list the articles in a category, click the category entry in the menu. Or, click the triangle to expand the category. 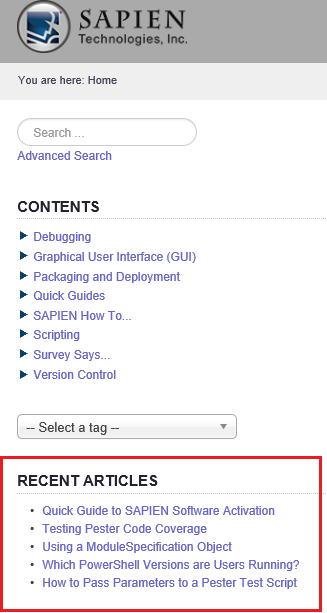 The SAPIEN Information Center has a Tag feature that helps you to search for articles. For example, to winnow the articles to just the ones marked “PrimalScript,” use the tag drop-down menu on the left-side of your browser window. 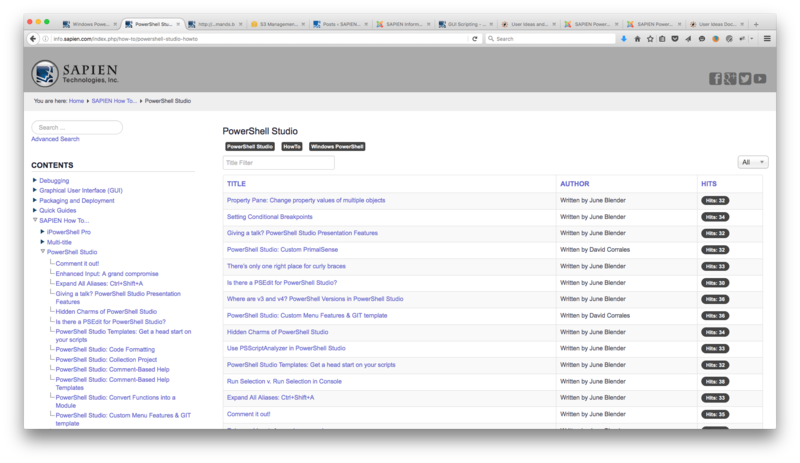 To find articles, use the search box in the top left corner. For more detailed searches, click Advanced Search. You can search by author or category, too. When you open an article, you get a list of related articles as well. Related articles share keywords with the article you are viewing. to announce our sales, tours, conferences and the like. 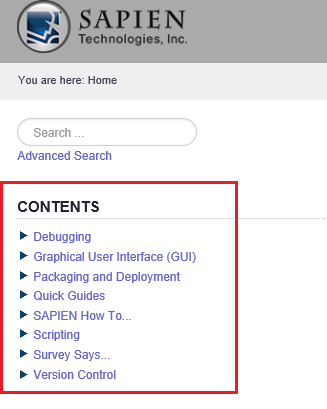 We will be constantly adding to this cornucopia of material about SAPIEN Technologies, Inc. products, PowerShell, and things you never knew you needed to know. So make the SAPIEN Information Center a place you frequent often for tips, tricks, advice and plain old ‘how-tos’.